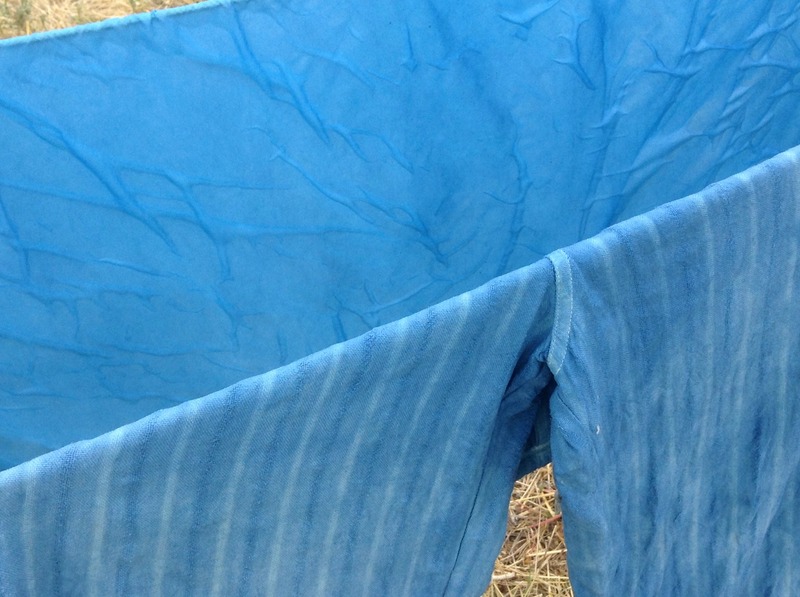 Last time we talked a little about some Indigo dyeing fun that I had at Golden Beltane, but the best part of that fun is yet to come. This link will take you to the blog page of Damask Raven. If you are looking for truly amazing REAL SILK, these folks have it. My husband bought me enough red silk gauze for a Roman palla (Thank you, honey!). These lovely folks were neighbors of mine at Golden Beltane and Katrina asked if she could dye some silk in my Indigo pot. There are before and after photos, and a video, which was taken by the Katrina’s husband. If you have never watched Indigo in action, you really have to see this. I have seen Indigo Dyeing a zillion times, and I never tire of watching the color change as the Indigo oxidizes. As a side note, I would really like to encourage folks to try this themselves. Because my Indigo dye pot is usually used at camping events I chose to use a “modern” pot. No lye, not a lot of complex chemicals to balance, and I can easily refresh the pot at the event if the Indigo runs low. I carry three containers of chemicals with me – Thiorhea Dioxide, Washing Soda, and Pre-Reduced Indigo, plus extra water. I bought all of my supplies through Dharma Trading and I use their instructions. I also print out “after dyeing” instructions so that folks can properly set the dye at home. And no, the pot does not smell wonderful when you take off the lid, but it is not going to get you in trouble with your neighbors if you live in an apartment complex either. The hardest part is finding a deep, narrow container with a lid to store the Indigo Dye Pot in. If properly maintained a dye pot can last for years. My current pot is about five years old. It lives in my pantry, tightly closed, when I am not using it. Indigo is a great choice if you want to have a dye pot that does not require a heat source and constant tending at an event. I have participated in and watched several natural dyeing sessions before. I chose Indigo because I wanted something simple to use that would have a high likelihood of success. Whenever I set up activities for events I try to chose things that people will be able to succeed at. Their results do not have to be perfect, but they have to be good enough to not discourage them from trying again. Indigo dye contains a substance called Indicum. Both Woad and Indigo, although they come from different plants, contain the same coloring substance. But not everything at Golden Beltane was blue. 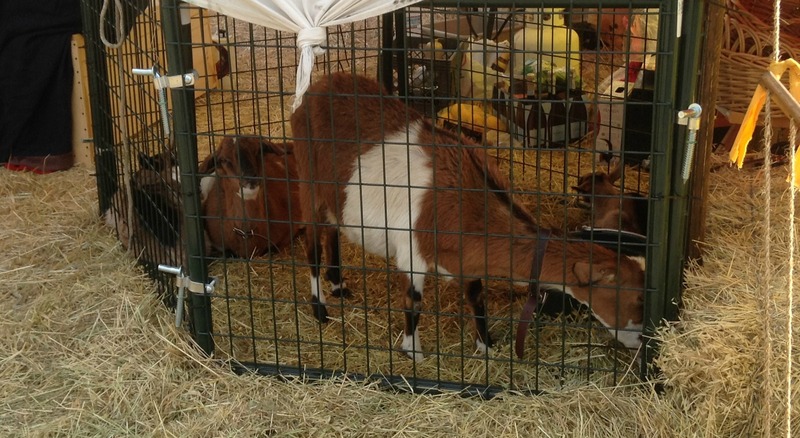 There where some amazingly cute goats in the main square. And even a castle that belongs to our old Barony, Darkwood. This entry was posted in SCA Life and tagged Indigo Dye Pot, Indigo Dyeing, Silk Damask, Silk Gauze by Eirny. Bookmark the permalink.